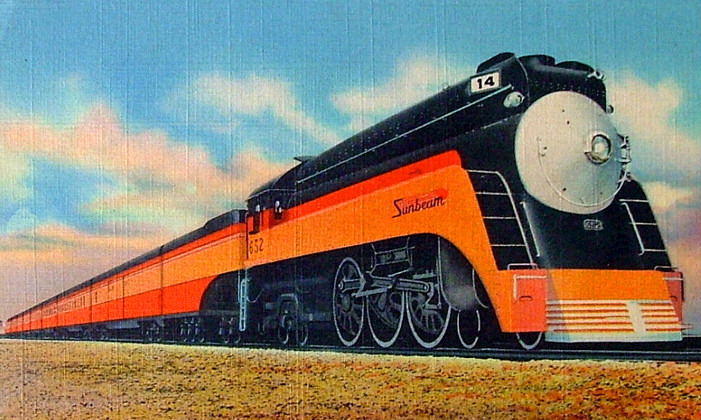 The Southern Pacific's Sunbeam was the railroad's most notable eastern streamliner, aside from its transcontinental Sunset Limited, which served New Orleans. The train provided regional service in central Texas between the state's two largest cities, Dallas and Houston with a history that dated back to the 1920s. While it began life with heavyweight equipment within about 10 years of operation the Espee had upgraded this to newer, streamlined lightweight cars adorned in the railroad's legendary Daylight livery. From a scheduling standpoint the train was one of the oddest streamliners ever operated as it featured a local run known as the Hustler which then operated as an express train in the other direction. Overall, the train was fairly successful during its early years although after World War II as rail travel waned regional trains like the Sunbeam were hit especially hard. As a result, Southern Pacific canceled it by the mid-1950s. 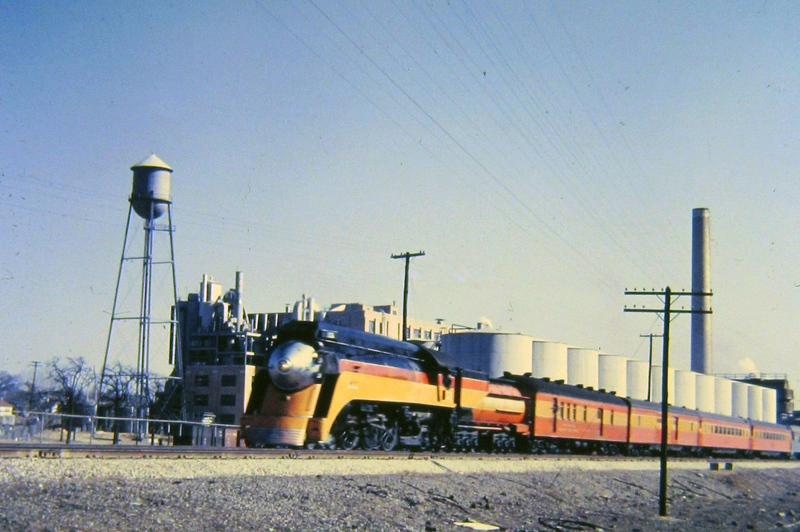 Historically, the Southern Pacific's streamliners best remembered are those which operated either in California, up the Pacific Coast, or the aforementioned transcontinental Sunset Limited. 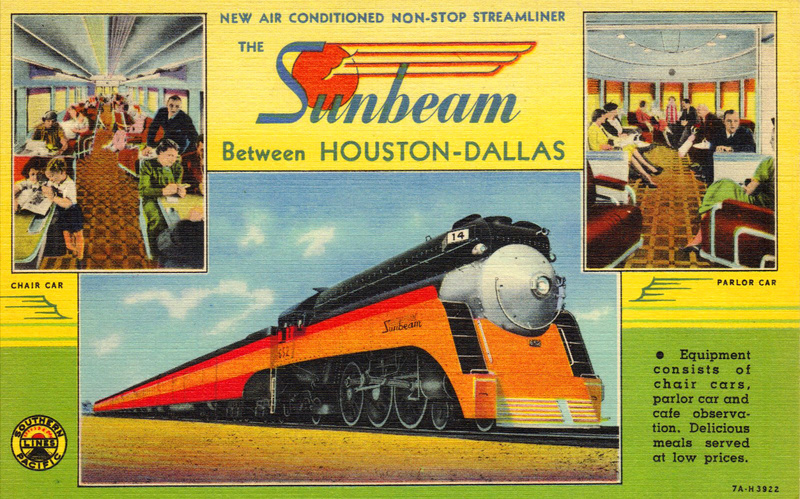 The Sunbeam, and its counterpart the Hustler (both of which were technically operated by the Texas & New Orleans Railroad, an SP subsidiary) proved to be the SP's most notable passenger trains along the eastern portions of its main line. The trains' date back to their initial debuting in 1925 as a means of competing primarily against two services provided by the Chicago, Burlington & Quincy and Chicago, Rock Island, & Pacific; the Texas Rocket and Sam Houston Zephyr, which also served the same cities. The original consist for the train was made up of coaches, parlors, a diner and observation. The train was listed on the Southern Pacific's timetable as #13 northbound and #14 southbound. Its initial scheduling called for a 4 hour, 45-minute between Dallas and Houston at a distance of 264 miles. As a heavyweight train, utilizing a Class P 4-6-2 Pacific steam locomotive, the Sunbeam remained on this schedule for the next 13 years. 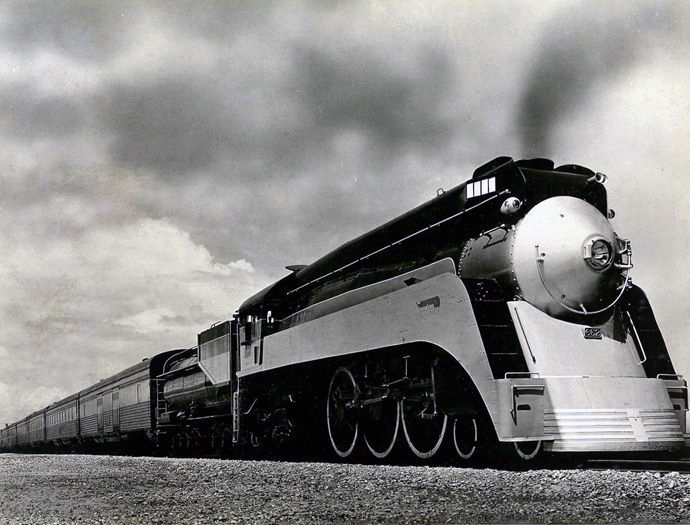 In 1937 as the streamliner era was entering full tilt after the Union Pacific and Burlington both demonstrated the successful nature of the new designs in 1934 and the Southern Pacific was one of the first railroad's to jump on the bandwagon. A year later, in 1938, also saw the SP change the scheduling of the train to better compete against the Burlington and Rock Island making the train an express run that served its corridor in just 4 hours, 25 minutes averaging nearly 60 mph the entire way. However, the railroad also still wanted to offer local service along the route. To be able to do both the Espee inaugurated a train just for this purpose, the Hustler, also in 1938. Whereas the Sunbeam offered just two stops (at College Station and Ennis) the Hustler offered more than two-dozen, nearly half of which were flagstops. Despite this the train was still able to complete a run in 5 hours and 50 minutes. Once the Hustler reached either Houston or Dallas the passengers could then take an express trip back to the other city via its counterpart. Additionally, because SP's Sunset Route ran directly through Houston passengers also had the opportunity to continue on eastward or westward via the Sunset Limited. As mentioned above the Southern Pacific began completely streamlining many of its most well known trains as early as 1937. This included the Sunbeam which was reequipped on September 19, 1937 sporting the railroad's classic Daylight livery. 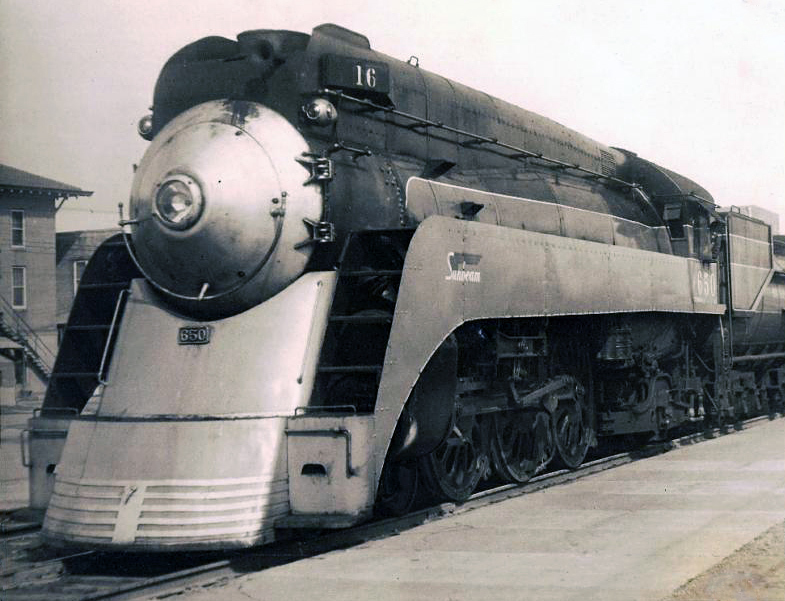 While the train was not offered one of the SP's venerable GS Class, semi-streamlined 4-8-4 steam locomotives for power it did feature another Class P 4-6-2 Pacific sporting the same in matching paint. Perhaps, in some ways, the Sunbeam defined the Daylight's red, orange, and black livery. In any event, the train's new consist included reclining seat coaches, a parlor car, and a diner-lounge-observation (which required reservations before boarding). Around 1948 the train lost its steam power, replaced by new American Locomotive Company PA-1s, six of which (twelve including accompanying B units) were lettered for subsidiary T&NO. Clad in matching Daylight paint the beautifully designed locomotives made for quite an appearance on the train, particularly when in operation. By the 1950s regional trains across the country were having more and more difficulty remaining competitive against automobiles and improved airline service. As such, the SP dropped its Hustler in 1954 leaving only the Sunbeam. This setup lasted for a mere year before the railroad discontinued the Houston-Dallas corridor altogether. By then the railroad was losing much of its interest in remaining passenger services. During the 1960s only a handful of named trains still remained on its timetable. When Amtrak took over in 1971 the SP's fleet was a mere shell of its immediate postwar operations.